A month ago, senior Jesse Grupper, competing in his fifth straight U.S. Sport and Speed Climbing Open Nationals, held the No. 1 seed heading into the finals of the competition at the Sportrock Climbing Center in Alexandria, Va. He had dreamed of winning the event ever since he placed second in the competition back in 2015. This time around, Grupper realized his dream: becoming the best sport climber in the United States at the ripe age of 22. In the final round of the competition, Grupper, as the top seed, competed last of all the climbers. Having only briefly previewed the route he was about to climb and not knowing how high his competitors had gotten, Grupper strapped into his climbing harness and made his way up the wall. He started up the route like all the other finalists had, but the crowd brimmed with excitement as it became clear that Grupper had a chance to outperform every climber before him. Minutes later, Grupper returned to the ground a national champion. Grupper explained what that moment meant to him as a culmination of his whole climbing career. Grupper first started climbing at age six when he was dragged along to his sisters’ climbing lessons. 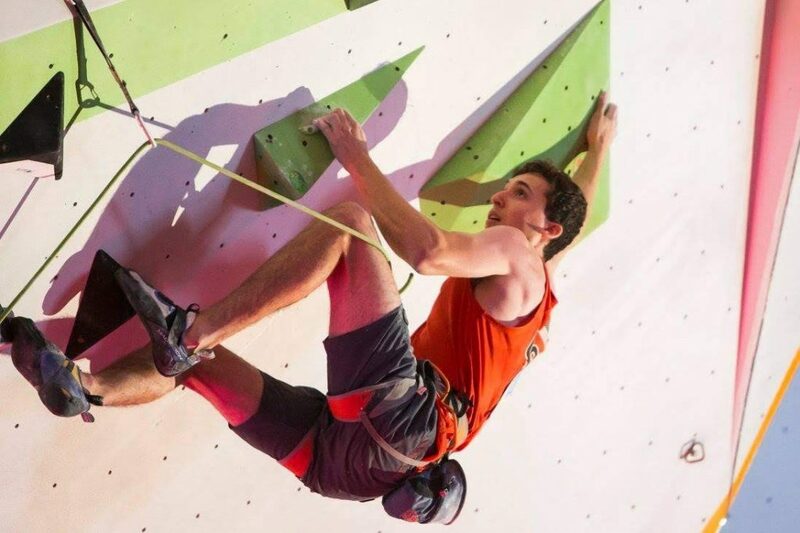 He has competed in regional, national and international competitions, and he traveled this past summer to Bratislava, Slovakia for the World University Sport Climbing Championships where he placed fifth out of 53 athletes in the lead climbing division. Having been a part of the climbing community for so long, he says that there are a lot of familiar faces whenever he attends these competitions today. Grupper also explained how the culture of climbing differs from other sports. The individual aspect of climbing lends many climbers to lean on each other when they compete. Grupper has been able to find the collaborative spirit of the climbing community in the Tufts Climbing team, which he joined when he first became a Jumbo nearly four years ago. The climbing team is one of the larger and more successful club sports on campus, as proven by a third-place showing at collegiate nationals last year. This year, the team will send climbers to compete at the U.S. Collegiate National Championships in Murfreesboro, Tenn.
Tufts Climbing team competition chair Alex Scaperotta spoke about what it’s like having Grup er on the team. Because of its size, the climbing team has in its ranks both athletes who compete at the national level and those who climb for fun. Grupper talked about how they are all able to bond over their common passion. The connection between climbing and academia has always been present for Grupper. As a mechanical engineer, he sees a climbing wall as just another opportunity to solve a problem. Spending your college career traveling to elite climbing competitions across the country and around the world means getting very good at doing homework in the car or on a plane. Grupper says that he has always prioritized school over climbing, but that both play an important role in fueling his ambition and drive in the other. Looking ahead, Grupper’s plans aren’t entirely clear. His climbing success has earned him a chance to represent the U.S. in the World Cup Circuit next year, but he values the things he has learned at Tufts and the opportunities his educational experience has opened for him, too. As the best sport climber in the country, Grupper plans to climb professionally next year, too. Regardless of where he chooses to go, Grupper has a bright future ahead of him in both academics and climbing.